Right off of the unveiling of the Moto Z2 Play, it looks like Lenovo is gearing up to announce the highly anticipated Moto Z2. The company has sent out press invites, as posted by MobileXpose. 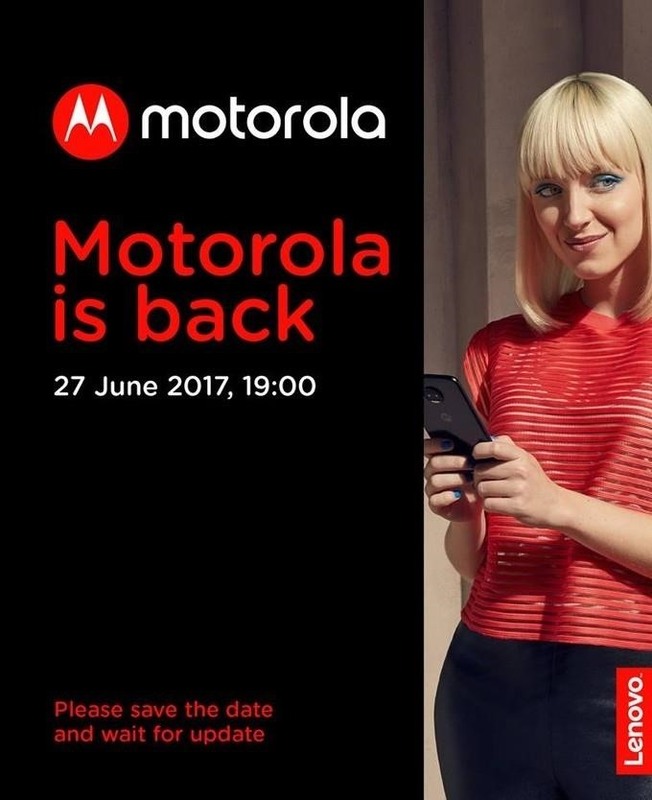 The invites come with an image (seen below) that says "Motorola is back" with the date — June 27, 2017 at 19:00 — written underneath. The image also promises updates to come in the future, which may include what the event will actually announce. However, it's safe to assume that it's the Moto Z2. While the invitation doesn't explicitly say that the June 27 event will be the unveiling of the Moto Z2, the image also includes a picture of a woman holding a phone that is strikingly similar to the leaked photos of the Moto Z2. The phone is certainly a part of the 'Z' series, and a closer look at the camera on the back shows that the phone has a dual camera lens, which is the most common rumor regarding the smartphone's features. The only other phone that the woman could be holding in the image is the Moto Z2's Verizon branded counterpart, the Z2 Force, which was also rumored to be unveiled this summer. Even so, it's likely that Lenovo is going to unveil both at the same time because of how similar they are. Past leaks have indicated that the Moto Z2 is going to be powered by a Snapdragon 835 SoC and run Android 7.1.1 Nougat with 4 or 6 GB of RAM. 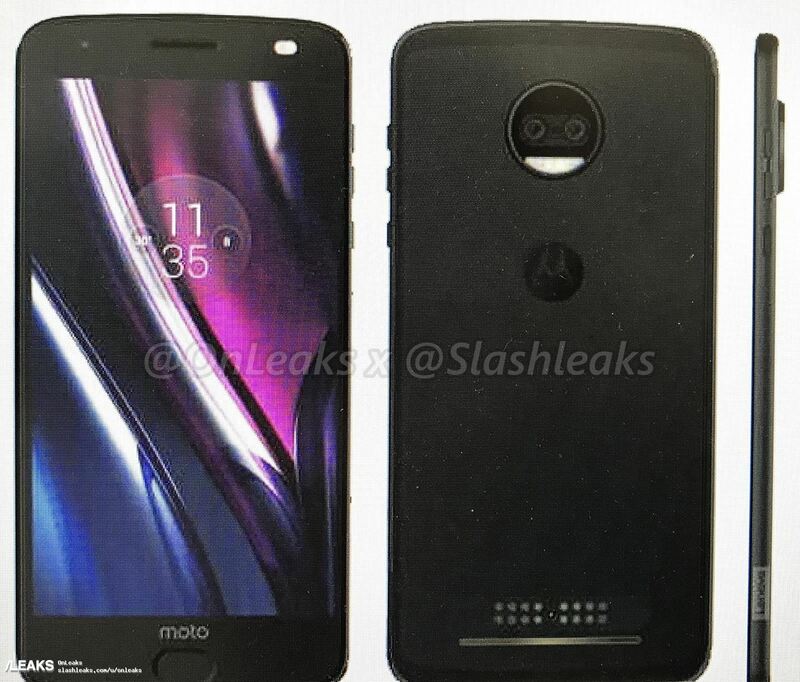 Render leaks have also shown that the Moto Z2 could come with a dual-LED flash support and a fingerprint scanner embedded in the home button. This invitation continues the line of unveilings that have been keeping Lenovo busy this month. Just a few days ago the Moto E4 and E4 Plus were announced right after the launch of the Moto Z2 Play. Additionally, the Moto X4 has been rumored to get an unveiling on June 30, and Lenovo has plans for another mysterious event on June 21 in Brazil. The Moto Z smartphones were introduced last year as part of the Chinese firm's attempt to restructure themselves and bring back Motorola, after acquiring it in 2014. The devices received fairly good reviews and were praised for their slim design, innovation, and fingerprint scanner, which makes the Z2 a highly appealing sequel to the market. There is not much information given on the invitation otherwise, but there's likely to be more leaks and information about the Moto Z2 as well as the event in the coming weeks. Be sure to check back to Gadget Hacks for updates in the future.